… I will concede this interest is definitely peculiar to me, that among the short list of cars I will always stop and look at for as long as I can is included a car like the one above: a middle-market supermini called Ypsilon. That puts the car in with the Saab 900 (or any pre-GM Saab, really), the Opel Astra F, the Jaguar XJ6 Series III, the Citroen CX, DS and GS and some of the Buicks carrying the Riviera nameplate. Whereas I could make a semi-solid, semi-objective case for why any sentient person might accord respect to vehicles from that list, the Lancia is different. I can tell you why I like it but I honestly don’t expect you to be able to say any more than “It’s nice you can take pleasure from such a thing but I can’t see the attraction myself”. I also don’t expect many people to stand back and topple in disbelief either. Few people will hate this car. What’s not to be indifferent about? So, objectively speaking, the Ypsilon lies in the vast Milky Way of not-bad/not great designs. It hides far away from the extremes of the Lancia Florida, 1964 Lincoln Continental and any number of concept cars that kick the breath from your chest on sight. And it lies distant from the Pontiac Aztek, Buick Signia and Ssang Yong Rodius on the other side too. That means the relation between me and the design is solely personal. Designers would really have loved more people to have been as enthusiastic about it as I am, of course. Alas there are very few designs that land arrows in the hearts of more than a minority. Many designs that try to land arrows in the hearts of customers usually miss or land an arrow in the eye. It’s a tricky business being original, striking and appealing – different bad is often mistaken for different good (I learned that in relation to architecture where any kind of difference is preferred to attractive but familiar). Slightly wonky is often mistaken for interesting (is that the bane of many serious singers?). Mostly what the designer sees as some clever and ground-breaking bit of originality is not even noticed except by a few. And those who do notice often take offence. This is one they did later: two doors too many. This is one reason in these high-risk, low-reward times many car designs are mere stirrings of the same old minestrone. Everyone likes minestrone: nudge the pea, move the pasta, add a bit of pepper and call it ground-breaking. No-one will hate your soup. This would appear to be the formula followed by anyone you can care to name (with a few exceptions). You could even say the Photo Car Of The Day is more of the same. Well, yes, but I happen to like this type of minestrone a lot more than other types of minestrone. The dark blue velour upholstery! The alloy door handle! The falling crease on the side! The liftgate! The idea of a small and comfort-oriented small car, for goodness’ sake. A Mini does not achieve the same effect at all and nor does a DS3. Are there other contenders? Where is Renault’s Baccara line? I haven’t seen the Fiesta Vignale – maybe that is an Ypsilon competitor. Yet, despite Ford’s inherent good qualities I don’t see Ford as being classy like an Ypsilon. Ford’s strength is classlessness, like VW. The Ypsilon’s rear windscreen is verging on the aristocratic. In spite of all those things, I also recognise they are projections of my imagination. I might ask readers if they have a car that they like to the mystification of others. If you do, please write in a let us know. We promise to be respectful (and actually insist on this). If you want us to understand why you like the example you choose it might help to suggest what it is you think the designer wanted to achieve. The more idiosyncratic the selection the better. That doesn’t mean I’d be impressed by cars that are “so bad they are good” the way. I am more interested in the average sort of cars, the ones most people won’t even notice. I was astonished by the number of these cars in Italy. They are literally everywhere together with MiTos and four door 500s. Seems the Italian market is still much more small car minded than other countries. My secret favourite is the Alfa Junior Z. Somehow it’s like a four wheeled Oscar Niemeyer object. It seems that a Gaussian curve isn’t the right mathematical instrument to describe the correlation between ugliness of a car and its success. Just like in the results of maths exams in students of mechanical engineering, the numbers do not decrease at the bad end of the curve and therefore a different mathematical formula has to be found. My theory is that there is a coefficient of ugliness Cu that somehow influences the sales numbers. This coefficient of ugliness surely has to be an SI basic unit of measure and as these are often named after great individuals the descriptor for Cu can only be ’B’. B is an expression of the relative ugliness of a car in comparison to an absolute reference. This reference would be the BMW X coupe concept and any car as ugly as this would have a Cu of 100 B (of course, this is only theoretical because no design can be as ugly as said reference, so 100 is a theoretical maximum which, like speed of light, can only be approached asymptotically, but never be reached). The sales numbers of a car then would be a function of B, maybe a parabola. A practical evaluation of this formula shows that truly beautiful cars with B close to or equal to zero don’t sell and the ugliest examples sell by the highest numbers, which is exactly what you see in the market. The curve showed not sales but numbers of examples. Whether one car was sold or 330,000, it counts as one piece of data. Does that make it clearer? I apologise for my misunderstanding. But also when looking at the cars on the market a Gaussian curve doesn’t correctly describe the fact that there are ever more ever uglier cars. They have a coefficient of ugliness, too. There are plenty of Ypsilons in Normandy, of various ages. The extra doors make very little difference to the lines. They aren’t middle of the road. They’re far more luxurious to be in than other superminis. Normans are skinflints. If they weren’t getting a good deal of added value they wouldn’t have bought them. Going back, Dedras had mechanical sophistication — VVT, turbo option, rare 4WD — but the inside gave you little extra. Delta 3 production standards improved — they were so expensive Lancia couldn’t afford to market a car which was already falling to bits. Musa is probably the most comfortable little car you can buy, even 4-5 years after it stopped. I think Richard underestimates the amount of design that’s gone into the tiny frame of the Ypsilon. To appreciate it fully, think about it compared to other cars of its size. The Ford Ka and Renault Twingo might look distinctive but not distinguished. The Ypsilon gives an impression of luxury from the outset, important in Italy where so many towns and cities have tight streets making smallness a necessity. The Italians of course are famous for their concept of bella figura and there’s no reason this shouldn’t extend to their town cars. My own peculiar preferences when it comes to cars extends to pretty much any Lancia including those derided on these pages such as the Dedra, Delta II and Delta III. 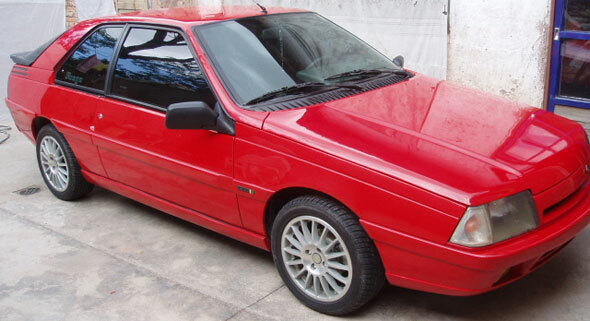 The Talbot Tagora, often described as bland is anything but to me. To my eyes it has an almost uncompromising modernism to it both inside and out, narrow rear axle excluded. The last Citroen C5 saloon is also worth a mention, although the interior is a bit of a let down and I just remembered there are some MPVs that turn my head, namely the early Renault Espace and the first Citroen Grand C4 Picasso. Have I underestimated the amount of design in the Ypsilon? Given the high esteem in which I hold the car, I find it hard to see how I´ve missed anything. It is a luxurious, dignified small car. Are you sure we deride the Dedra? Without looking back at my incriminating prose, my impression is that I view the Dedra favourably. The Delta 2 is a mixed sort of car since the rear half of the car is such a compromise. The Delta 3 is a striking-looking car and what killed it for me is the build-quality and detail design. Having seen, driven and sat in a Lybra I can see that the Delta is not cut from the same cloth, more´s the pity. 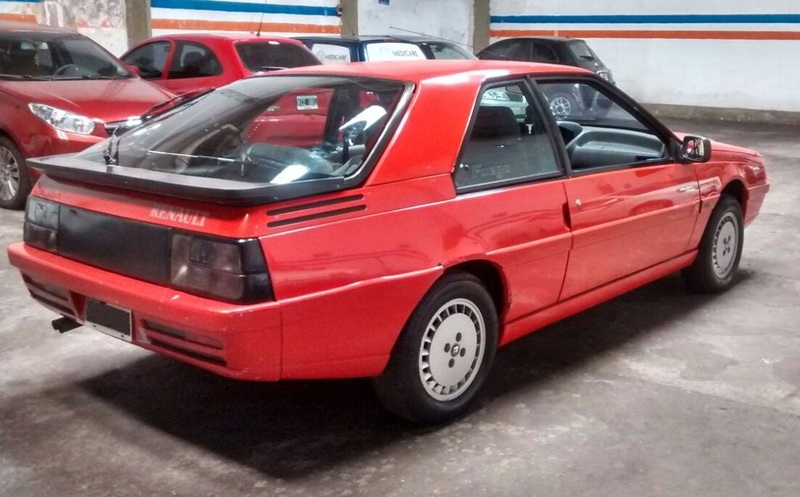 FCA deserve to serve time for the way they served up what was patently a car made to Fiat standards as a Lancia. It could have been good – the Lybra is certainly an impressive machine. The last C5 – with that we move onto more interesting grounds. Why? Because I´d have judged it a middle-of-the-road sort of design and would assume most people would. That´s why the case for the car being in any way special is worth hearing. Tagora? In this case, I´d say the designers saw what you see. We´ve written a lot about it here, as you know. The proportions kill the car. Had those been right the stark simplicity you like might have been more apparent. I think the Tagoro might be an example of a car whose design ethos was too much for Joe Plain to get. Some designers might have been thrilled at the austerity. To make that work the ingredients have to be exemplary. Real affordable luxury as opposed to “sportiness” is getting harder to come by. Lancia was perhaps its last proponent in Europe. I forgot to qualify my statement on luxury with “affordable” and “tasteful” which thoroughly disqualifies Mercedes at least on one count and frequently on two. I am agnostic on the point rather than trying to argue. On what basis do you think Lincoln is trying to do affordable comfort rather than trying to be a modern Mercury? Isn´t the a Continental tanking? I am open to persuasion. This is a reply to Richard on the Lybra. The tail lights on the SW always give my heart a lift on the sadly rare occasions when I see one. 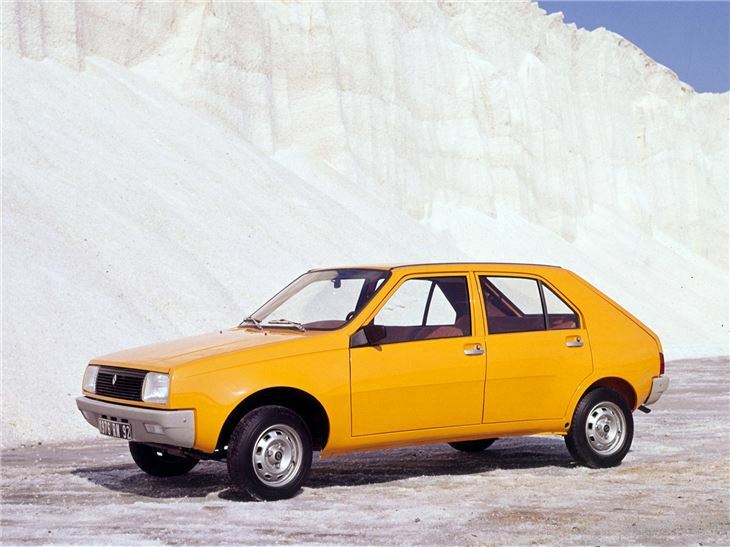 The Renault 14 was designed in the best tradition of its maker, to be capacious, useful and unpretentious. Its design was unique and incorporated some really nice details, such as the way it resolved the lower A-pillar junction, enabling a distinct break between bonnet and waistline and allowing the latter to be lower, enlarging the DLO. The boot was enormous and the car’s great seats and soft ride made it very comfortable over long distances on poor (Irish) roads. Sure, it wasn’t the most reliable and rotted away pretty quickly, but it was misunderstood and underappreciated. 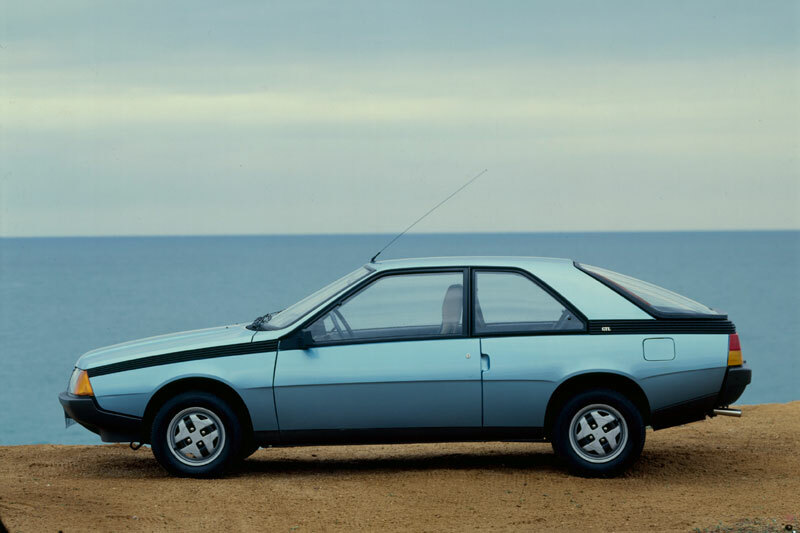 It’s poor sales caused Renault a crisis of confidence in its design, leading to the rectilinear and utterly tedious 9 and 11 model replacements. The base of the a-pillar is exactly the detail that mars this otherwise sensible and characterful car. 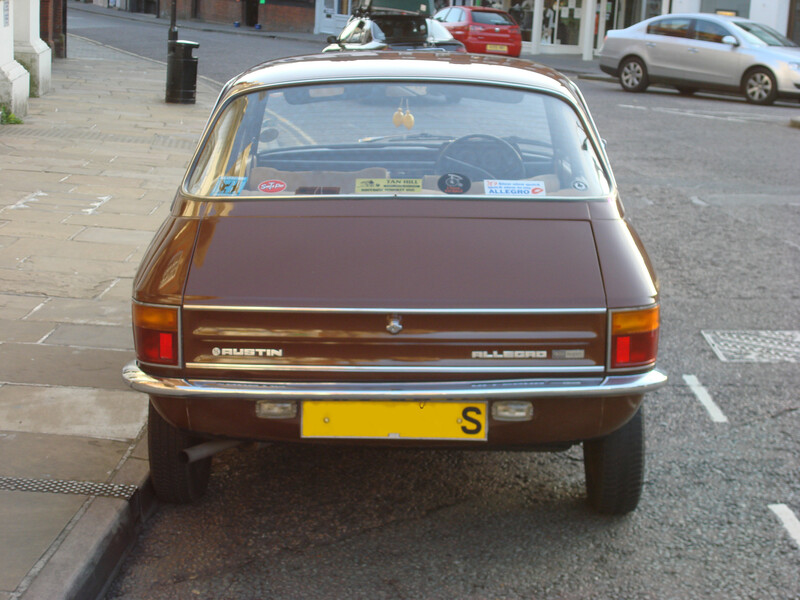 Is it only me or is this not quite like (as in not very, very different from) the Austin Allegro? This is a tricky contender because of its rarity. I have not seen one since the 1990s (meaning: if I saw one ever it was around 1990) so it´s hard to assess. On the one side, it´s plainly actually a decent bit of industrial design and on the other side, it was very weird back then. I am sure my impression of it as a kid was to see it as a banana. left or the right end. Polarising but good subject matter. No question but the Ypsilon is vastly nicer with 3 doors than 5. In terms of everyday cars that appeal strongly to me two cars spring to mind. I often drive past an uncared for burgundy 3 door Peugeot 306. Despite it’s dents I always take a second glance. It’s proportions and lack of unnecessary flourishes make it seem like it’s sculpted from a single piece of steel. The interior is a little disappointing though. The second I’m a little more hesitant to admit to and I can’t really explain why I like it. The second gen Nissan Primera in saloon form is the other mid-nineties generic car that I have a soft spot for. You promised to go easy on me. You haven´t scared the horses yet. Both cars are middle-ground though the 306 is perhaps one some might be prepared to grant above-average status. Personally, I consider it smashing and I even like the interior. Crisp, neat, pert and effective yet not just any old shape. The Primera is on shakier ground for the public. I´d say most viewers would call it ho-hum. I respect it but don´t walk out of my way to see them. What do we think of when we think of the Ypsilon? For me it has a bit of the Appia spirit, rather meanly interpreted, but certainly not crassly. In 2017 60,335 Ypsilons were registered in Italy, its only sales territory. That’s 69.5% of the number of Alfa Romeos sold in the whole of Europe, or 43% of the – shockingly low – number of Hondas. The Ypsilon is second best seller in a market which took 1.97 million vehicles last year. Registrations from January to June were 27,252. In Sergio Marchionne’s early days at the controls of Fiat, Lancia was his plaything – the undercaptialised basket-case which he planned to turn into a credible premium brand. Scarcely a year after the new Delta arrived, Chrysler was to become the new focus for his attention – a bigger, more exciting toy. With the end of Delta production May 2014, Sergio strongly suggested that managed decline was the unavoidable fate of Lancia – it has now seen him out. I wonder if Mike Manley gives Lancia much thought, or is it all Jeep! Jeep! Jeep! Profits! Profits! Profits? Dear Mike Manley: if you are reading this, please spare a thought for Lancia. I’m going to restrict myself to fairly recent / current cars, otherwise the list would be too long. My first is the Renault Zoe. I guess the aim was to produce a distinctive, modern electric supermini – one which signals progress, while not looking too outlandish. It looks great, in pretty much any colour, too, which I think is quite an achievement. My second is the current model Astra (K). A lovely, flowing, interesting design without being over-styled. Again, it’s not very colour sensitive. If it had been launched as an Alfa Romeo, the press wouldn’t have been able to contain themselves. Functionally, it’s all (or more than) most people need (like the Zoe, in its segment). Both of these models deserve serious marketing expenditure. Next is the Ford B-Max. Not the most amazingly attractive thing ever produced on four wheels, but reasonable looking in its segment. More importantly, Ford put a great deal of effort in to finding out how people who buy cars in its class actually use them and tried to solve problems regarding rear seat access, etc, while maintaining passive safety. It deserved to have more success than it did. My last choice is the Ford Fusion, and I’ll get my coat. Oh, yes – and the Renault Modus (a Ford Fusion competitor, which must mean that I have a thing for small MPVs). I’m not fantastically keen on the front, which has a slightly ‘surprised’ look to it, but the rest of it is good – it has echoes of the Megane of the same period – and I appreciate details such as its ‘boot-chute’ – a segment of the boot that opens like an original Mini’s, so you can post things in, when there’s limited space. Zoe yes, that works. But I only ever see two colours, white and the very metallic light blue which all makers have decided electric cars are supposed to be. The Ford Fusion: you can leave the coat on its hook. I consider this a little gem to look at. It´s a shame the driving experience was so hum-drum but Chris Bird should look back at this car as fine example of good car design. I for one hold it in high regard. It´s very satisfying to behold. Ditto the present Astra. I haven´t driven it but it´s one of the best looking cars in its class. Many people just can´t see that because of the blasted Vauxhall badge. It´s a very good example of considered vernacular car design. Nothing wrong with the driving experience in the Ford Fusion. I drove one for a week on the twisty roads of Mallorca a few years back and it was perfectly adequate and enjoyable, like most Fiestas. Even the hard plastics inside gave it an utilitarian feel that was very fitting, more so than in the standard Fiesta. Laurent: I drove one for four days, with a variety of motorway and local road use. The utilitarian interior was fine apart from the fact there was no surprise and delight at all to the interior. Ford had a thing around then for doing nothing at all to add joie de vivre. That aside, the driving was wholly unremarkable which was not what I expected from Ford at that time. I won´t call the car horrible or bad but it was not anything over the acceptable minimum. I´d like to make it clear, there are lots of cars that don´t offer anything over the acceptable minimum and are not even as consienciously styled as the Fusion. So, it is still well ahead of the game. A four wheel drive option would have been a real USP, making it a bit like a bigger Jimny. Given the stability of that market, Ford could have invested in such a car and left it on sale for a decade as a steady seller. It seems to me the Fusion was viewed as a little appendix to the Fiesta range when it could easily have been the core of another range which might have included a robust little off-roader. Hi Richard. Your comments about the R14’s A-pillar treatment surprised me somewhat. I would be interested to read more about why you think this unsatisfactory from a design perspective. To my eyes, the black plastic ribbed insert on the front wing and C-pillar is a bit contrived, unlike the simple groove on the R14’s front wing which continues the waistline forwards. The juxtaposition of the vent and rear screen is completely indefensible, as is the shape and positioning of the screen. I suspect they thought the rear screen looked so delicious — and I can share their enthusiasm — that they just wanted to use it, no matter that it really belonged on some other car, not the Allegros thay were actually making. When one sees the Allegro and R14 together, it´s clear the Allegro is far and away a mess. Any similarity is subliminal. About the Fuego and R14: the Fuego´s black strip conceals the base of the A-pillar to DLO area which may very well be one of its roles as well as leading the eye front to back, making the car look sportier, more dynamic, closer to the ground and all that. I´ll have to find a photo of the R14 to show what I think is not as nice as it could be. Joining the debate a little late, I know, but my vote for under-appreciated car still goes to the Kia Venga, which I think is a cracking package wrapped up in a very cohesive and well detailed design. I really like the Ypsilon, but FCA ruined the effect when they brought it to the UK by insisting on marketing it as a Chrysler. The Ypsilon is the latest in a long line of Italian-posh small cars badged as Lancias, the earliest that I can remember being the Y10. Often, unfortunately the driving experience of such cars fell short, and I seem to recall that the original Y10 shared a lot with the Panda – not that there was much wrong with that car, except that it was aimed at a different part of the market. Turning to Astras, I’m not a fan of the current car and prefer its predecessor, although that itself lent heavily on the previous generation Seat Leon for styling cues. Talking of Seats, another candidate for under-appreciated cars would be the Altea in its original form. It´s good someone mentioned the Venga. Yes, that is a car most people will ignore. At first I thought you meant the Kia Soul. I haven´t seen any Vengas in my area so I can´t say if they are well detailed or not. You´re one thinner ice with the Altea. It´s far from bad. I can´t see which bit I am supposed to re-assess in the light of your critical support. What have I missed? I really liked the look of the Ford Fusion, but the only time I drove one was as a loan car while my Ranger pick-up was being serviced. It had an absolutely horrible CVT gearbox and whined like a banshee. It as marketed as an “Urban Activity Vehicle” to trendy hipsters, but quickly drew the attention of the more mature buyer for its raised H- point, really the only practical thing that distinguished it form the Fiesta. The beige cardigan brigade made it deeply unfashionable overnight. Daniel: Opel wanted to have the Zafira and Astra on the same platform so the Astra ended up being heavier as a compromise. The new one is 70 kg lighter (or maybe more). I drove one once and the good side of the heaviness is tha the car is super quiet and refined. I really liked it, more than the other vehicles from the same class that I tried. Sorry, I did not understand the exercise, I did not think that my mention of a car as being under appreciated would be the prompt for your critical reappraisal. I’m not expecting that. I was just calling it out as unappreciated and so ignored by people. I am not talking the misshapen XL version, just the shapely (to my eye) original car. The rear three quarter view is particularly nice. I like the design of the rear lamps. I also think it’s a handy size. It’s a more interesting Golf+, which is another car I like and is often not noticed. S.V. , I’m with you on the Altea and I would have mentioned it if I’d thought of it. I love the neat tail lights and the neat sculpted sides. It’s a very neatly styled car. Good morning, Richard. Sorry if I put you on the spot, having to defend your view on the R14, but I’m genuinely curious. Might I suggest that, if the mirror housing was in body colour rather than black, the junction would be significantly improved? It has something of the Porsche 924 about it, don’t you think? Not “Due To” but “Fuego”, obviously. Stupid autocorrect! The A-pillar is even worse on that one. I have done a rough photo edit of the yellow R14 but I can not present it as an image in an email. It´s odd to say this but how hell is that done? I still don´t know! The plastic strip is very important – the S American car is missing something, I think. Ladies and gentlemen, I bring this under rated gem to your attention. The 5th generation Honda Civic. One of the best small cars ever made, and as pretty as a peach. That´s a big claim for a small picture. That said, yes, it´s very neat and tidy not unlike the 306 of around the same sort of time. It´s also a car most on-lookers won´t notice. They aren´t rare and aren´t flamboyant. They are very much a thinker´s car – you grow to admire it as the respect increases. Would other dare to call it bland? I wouldn´t agree because it has a clear theme. But still, some would call it “boring”. By happy coincidence I read some of Dieter Rams thoughts on simplicity in design today. He´d like the Honda, I feel. Great choice, Jacomo. Nicely designed, beautifully built and peerless reliability; what’s not to like? This was the last Civic before the started becoming rather too big and, subsequently, weirdly overdesigned. Daniel: yes, after this I view every Civic as an impostor. The contrast between the current one and Jacomo´s candidate is very, very striking. The current car is a Civic only because of its badge. In the spirit of Richard’s original post, this is a very personal choice, and so I don’t require any validation of it. But after two previous attempts at perfecting this long-roofed hatchback format, Honda absolutely nailed it here. Very subtle and calm, but nicely considered. It’s a great package too – just big enough for four passengers and some luggage. The fact that it drove well and was built with Honda’s exacting build quality makes it a winner. I have no idea how to put a picture into a comment. Daniel? One of these, also in silver, was parked in town this morning. It’s a rare sight in my rural backwater and it stopped me dead in my tracks. The D2 generation A8 is, in my entirely inexpert opinion, something of a masterpiece. I love the essential “rightness” of the proportion and detailing. There isn’t a single element I would change. I know the replacement D3 generation model (also a very fine design) with its “Bauhaus” influence is more highly regarded by many, but the rear bumper to body vertical panel gap is not quite right and, of course, it was given the unfortunate “big gob” treatment when facelifted to give it more “presence” (presumably, in other drivers’ rear-view mirrors). 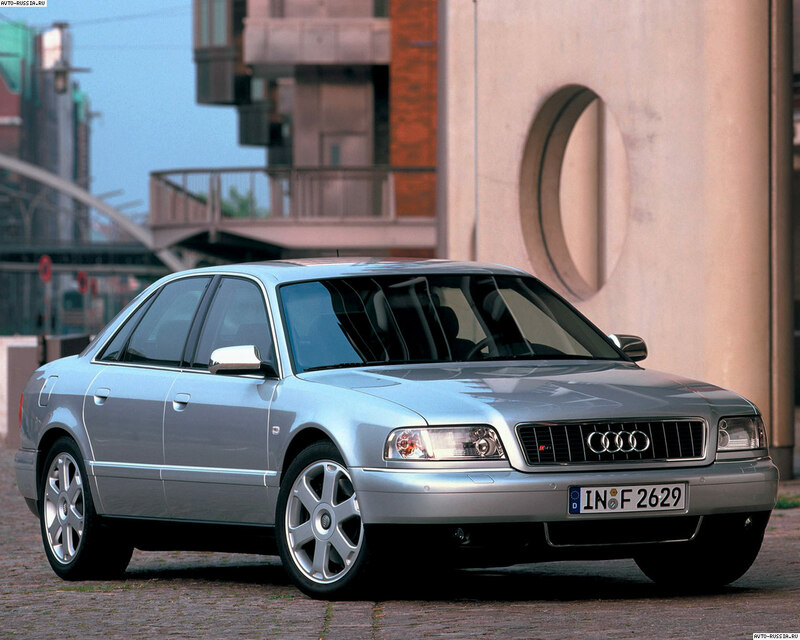 Seeing the D2 this morning reminded me just how far Audi design has fallen from its peak. The only “problem” with this suggestion is that it´s a stupendous design. Stephen Bayley said in 1994 he could not wait to see what the next version would be like. 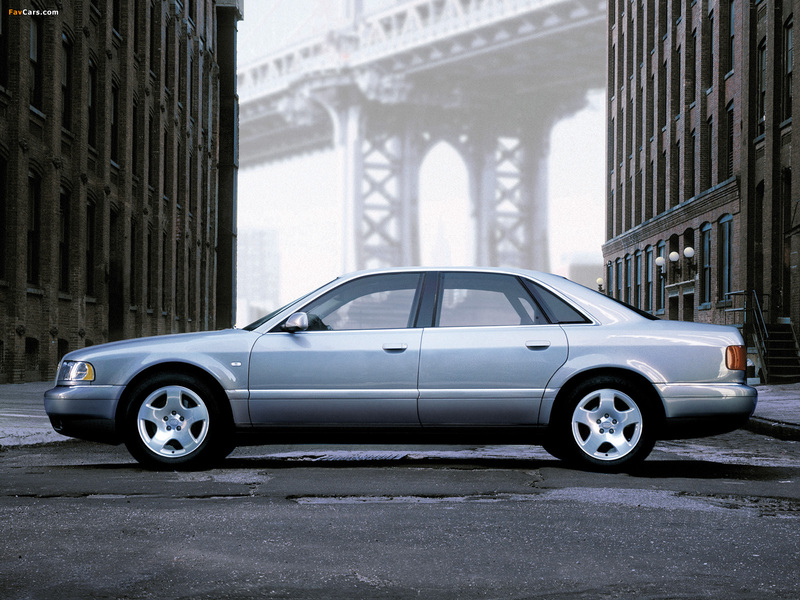 Well, Audi never topped this design. This A8 was a gem. Absolutely lovely, inside and out. Granted, it wasn’t underappreciated by connoisseurs of automotive design, but it was overlooked by many potential buyers. If would certainly have been a left-field choice against the S-Class and 7-Series, given that Mercedes-Benz and BMW had a much longer presence in this conservative market sector than Audi. In any event, I have to admit that I knowingly ignored Richard’s “mystification” criterion just so I could post pictures of this beautiful car! That´s true – yet not for the want of being very imposing. Chris Bird did that one, didn´t he? Isn´t the VW Bora out of the same box as in it´s a quiet but flawless bit of work. I know SamtheEagle doesn´t like the rear doors (I seem to recall). 1. Download the photo(s) you want from the internet. 2. Open Imgur and click on the “camera” icon (bottom-centre) your photo gallery will appear, including the downloaded photo(s). 3. Select the photo(s) you want to upload and click on “Next” (top-right) which opens a new page. 4. Click on “private” (top-left). This means your uploaded photos are not visible to other Imgur users. 5. Click on “Upload” (top-right) and the photo(s) will be uploaded to Imgur. This will take a few moments, depending on your internet upload speed. 6. Click on “View” and the uploaded photo(s) will appear. 7. “Press and hold” the uploaded photo. A bar will appear across the bottom with two options. 8. Click on “Share direct link”, then choose “Copy to Clipboard” in the pop-up window. This copies the link to your chosen uploaded photo. It sounds complicated but only takes me a few moments as I have used it often and am well practiced. Thanks – it does sound more lengthy than it should be. Curbside Classics use WP and they have an image-select feature for replies. Simply open the file and click attach and send. I wonder why this WP format hasn’t got it. I found the original Citroen AX, especially the base models to be full of interesting little details. The use of plastic in the tailgate, the door trims with their enormous bottle holders, the seat that used the seat springing as tension for the reclining mechanism, etc., all apparently in the name of saving weight. It was a hoot to drive as well, responding very nice to a good thrashing, with a very good ride for such a small, light car. On the face of it, the car was not really interesting, but the more you looked, the more clever bits you found. It’s odd, given the challenges of space, particularly in many old world cities, that there weren’t more efforts in making small, comfortable, well appointed cars. There’s the belief that small must be cheap, and it’s been near to impossible to shake. Such a shame that FCA have let this somewhat unique offering wither and die. A small, well equipped, comfortable EV or hybrid could have been a real opportunity.